« No response from Twitter. Is she saying, you look so fly that I’d love to have you in my shop? Or. Is she saying, I don’t know what you have on under that warm and fuzzy hat but something tells me it ain’t all good. Should I have been offended? I totally was. Though I don’t think she meant any harm. Maybe I’m too sensitive. Oh. And what’s up with the crossed out digits on the business card? Once your number changes, I say you bite the bullet and re-up. No? Have you ever rocked business cards with the cross-out? Don’t lie! Oh. And should Charlene’s offer have offended me? This entry was posted on April 1, 2009 at 10:10 am and is filed under Blogorama, Uncategorized. You can follow any responses to this entry through the RSS 2.0 feed. You can leave a response, or trackback from your own site. 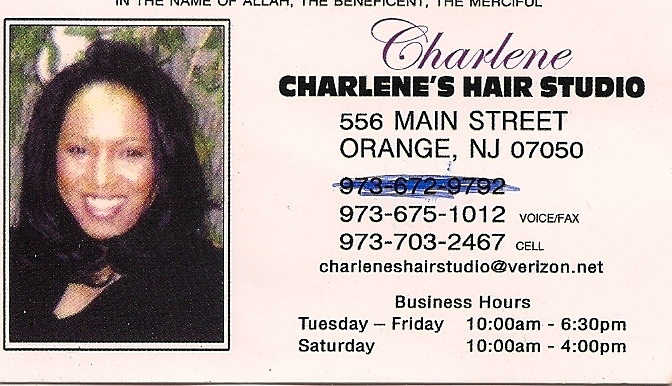 wow…don’t know how Charlene should take it. Ouch! i love a business card thats altered by pen. Why did you keep the card?